El fabuloso salario que reciben los minios por segundo, enterate. Una salvacion milagrosa es lo que obtuvo esta mujer al ser detenida por un plicia que la observo usando su celular mientras conducia. El policia no imagino el grave problema en el que se encontraba la mujer en ese momento, por casualidad se convirtio en su angel salvador. If for some reason you share your computer as i do with other people you may have installed programs that don't want others using, for example, your email program, personal finance programs, etc. by searching for the solution i found on the Web Kakasoft ExeLock. This Software lets you add a password to the executable file of your program and only those who know the key can use it. 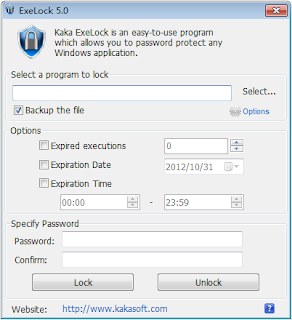 When you protect a program with Kakasoft Exelock is modifies the original binary file executable and can be used only if the person who opens know the password, and best of all, you don't change anything else on your hard drive and if you change your machine of all modes you will continue asking for the password. Nor do you need to have running kakasoft ExeLock where they are protected executable files, once you insert some password will remain locked your program always and only with the password will open it. And you have the option to make a backup of your original file by if you already didn't want him with password only you'll substitute for the protected. Here is the league to the program which, by the way, is freeware(free). Note: Some antivirus can detect the change in the files and say that it is a virus but this change is because the executable is now adds the code to ask for the password and there's no danger. 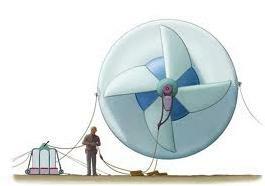 Balloons, kites and airships for energy. Wind turbines could float in a near future, in order to take advantage of the speed of the wind and generate our electricity. What appeared to be a crazy idea of some Italian engineers, have achieved the financing of the project by Nasa (USA). And now in Italy a swarm of comets, dirigible balloons are being tested and developed to improve the prototypes. The idea is based on the use of the winds, with ropes of nanotubes to send the generated electricity to the ground. The intelligent software adjusts the flying objects in an optimal way to the local wind conditions. The flying objects could be floating in the sky throughout the year and will be reflected only in the case of a storm or for its maintenance. For the NASA engineer Mark Moore, the advantages of flying wind energy plants are evident. 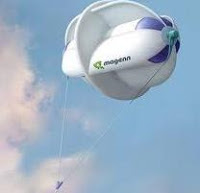 The company is located near Turin , one of the most advanced prototypes is this Kite Gene ,a comet for a heights of 10,000 meters, which carries nine generators of 27 megawatts of peak power. The Italian system is based on an electromagnetic generator that is driven by the exchange of rolling and unrolling. The wind turbine is located on the ground, which saves a great amount of material and budget. Let us hope that it will not take much time to see this technology to the hand of all the nations of the planet, and as well to help Mother nature. In the fashion world in taste break genres and is so for the enthusiasts of this Japanese food came to light the new aroma that will practically faint because of you and it is nothing less than the Colony of essence of sushi of Demeter . A perfume that brings you the marine aromas more pervasive, and that definitely will impact to your friends. Now if you'll be complete in your appointment to go to taste this meal. Only a recommendation: Avoid dark alleys that if you don't want flocks of felines you pursue. This same company we have another perfume no less extravagant, it is the fragrance of funeral for all those special occasions, whether you need to go as late or as one of the mourners you'll be more than a tone with the event. I leave a line of perfume advertising "When a friend sniffed it told him : this gives aromatic as the funeral of my grandfather feel". At last! What each iPhone and iPod Touch has been sitting tight for – the Poo Log, a computerized clock and diary for recording and contemplating the wondrous uniqueness of every defecation. In view of the top rated book, "What's Your Poo Telling You?" by Josh Richman and Anish Sheth MD, Poo Log is the top decision application for observing Poo-ers all around. With a shrewd blend of restroom diversion and genuine therapeutic data, Poo Log permits you to track your digestive workings and diagram your crap – all with one hand. 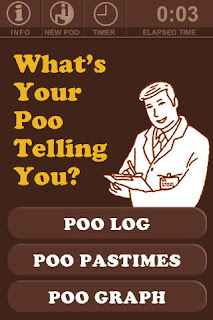 With convenient references, trivia, and fascinating chunks all through, this computerized Poo Log makes each outing to the can an e-loo-cidating background. Who knew one could gain such a great amount from crap. In a few words what is a meme? 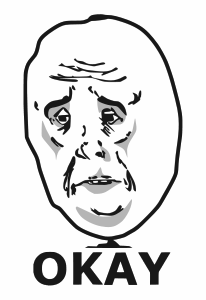 And a great youtube video about memes. Quote: "There are only three groups of people: those who make things happen, those who watch things happen and those who wonder what happened." Nicholas Murray Butler.